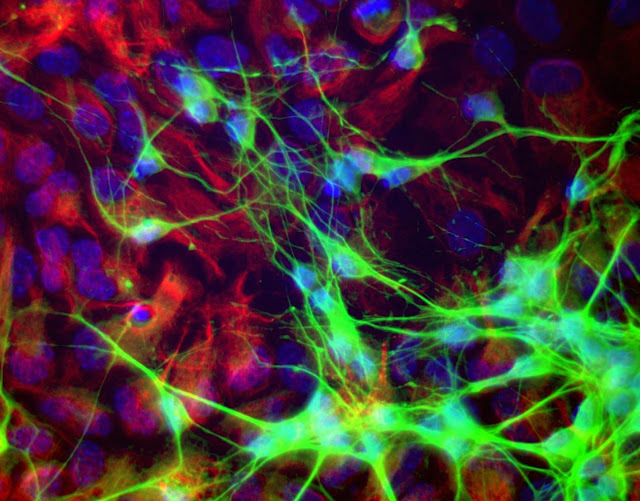 Glia are brain cells that surround neurons and synapses, protecting and insulating them. Chronic cocaine use and withdrawal changes the way certain glial cells, called astrocytes, interact with neurons. In particular, chronic cocaine use and withdrawal can shrink astrocytes and cause them to pull away from neurons. Cocaine use and withdrawal also interfere with the way the neurotransmitter glutamate is cleared from synapses and transported into astrocytes. New research shows that certain medications that regulate and increase the movement of glutamate from the synapse into glial cells can reduce cravings for cocaine. In studies of rats chronically exposed to cocaine and then denied access to it, treatment with these glutamate-targeting medications reduces the rats’ cocaine-seeking behaviors. The medications include N-acetylcysteine (NAC), an antioxidant that can reduce habitual behaviors, including addictive behaviors; riluzole, a treatment for amyotrophic lateral sclerosis (ALS), also known as Lou Gehrig’s disease; the antibiotic ceftriaxone; and propentofylline, which has been explored as a possible treatment for dementia and stroke. In a 2015 article in Nature Neuroscience, Stefan Bonn and André Fischer reported that when mice were prompted to use their long-term memory to recognize a specific environment, epigenetic changes occurred in their neurons and glia. Epigenetic changes refer to chemical alterations in DNA or histones (which give DNA structure) that increase or decrease the expression of certain genes. Sometimes environmental factors lead to a methyl or acetyl group joining a strand of DNA or histones, changing how easily the genes are turned on or off. 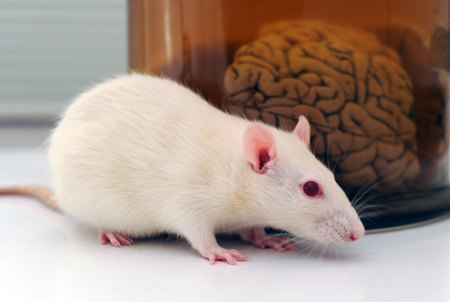 When the mice used their long-term memory, the main change that occurred was DNA methylation in their neurons. There were also changes to histones that were linked to memory acquisition but resulted in few changes in gene expression. The DNA methylation changes, on the other hand, changed neural pathways, leading to “rewiring” of the brain. The brain contains neurons, which transmit electrical impulses, and glia, which protect and support neurons. New evidence suggests that some types of glia also play a role in pruning back overabundant neurons that are produced as the brain develops in utero. Researcher Beth Stevens reports that astrocytes secrete a protein called transforming growth factor beta (TGF-beta). TGF-beta is a cytokine, or regulating protein, that activates brain microglia to initiate a complement cascade (C1 to C3), a series of chemical changes that destroy unnecessary neurons and synapses. The various proteins involved in a complement cascade are numbered. This complement cascade starts with C1q and is continued by C4, C2, and C3, which initiate phagocytosis (or eating up) of the axon terminals of the underutilized neurons, sparing those that are active. Inflammation and other changes in glia could cause either deficient or excess pruning of neurons, which has been thought to occur in neuropsychiatric disorders such as autism or schizophrenia. The brain consists of 12 billion neurons and four times as many glial cells. Neurons conduct electrical activity, and it is thought that changes in neural activity and synaptic activity (where neurons meet) underlie most behaviors. It was once thought that glia were just fluff, but new research shows that they may play a role in depression. 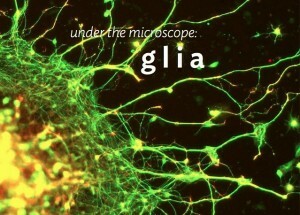 There are three types of glia: astrocytes, oligodendrocytes, and mico-glia. Researcher Mounira Banasr had previously shown that neuronal lesions in the prefrontal cortex of mice did not produce depressive-like behaviors, but glial lesions did. In a new study presented at a recent scientific meeting, Banasr reported that destroying astrocytes in the prefrontal cortex of mice induced depressive- and anxiety-like deficits. Using a virus that specifically targeted astrocytes, the researchers documented that the depressive behavior was specifically related to loss of astrocytes and not loss of other glial cell types, such as oligodendrocytes or micro-glia. Editor’s Note: There is evidence of glial abnormalities in patients with mood disorders. Banasr’s research raises the possibility that glial deficits (rather than neuronal alterations) could be crucially involved in depression. In this study, the depressive- and anxiety-like behaviors persisted for 8 days following the astrocyte ablation, but by day 14 the animals had recovered, possibly with the production of a new supply of astrocytes. These data also raise the possibility that targeting the mechanisms of glial dysfunction could be a new avenue to pursue in the therapeutic approaches to depression.